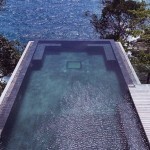 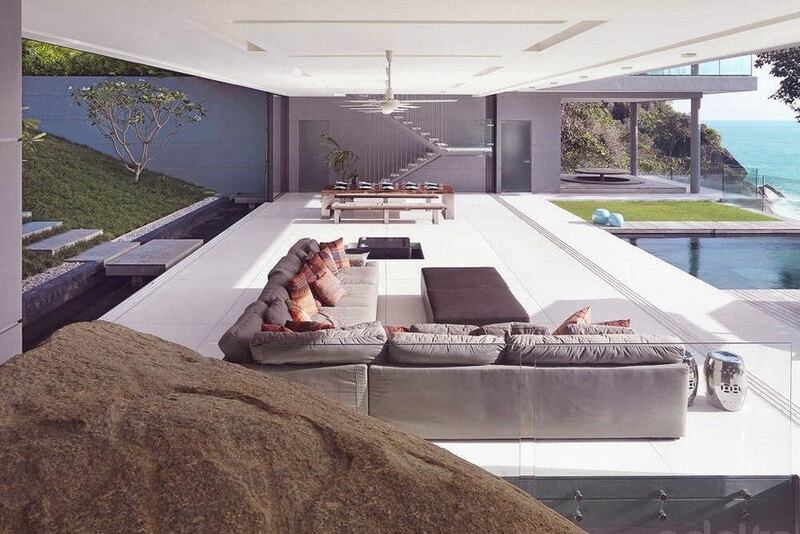 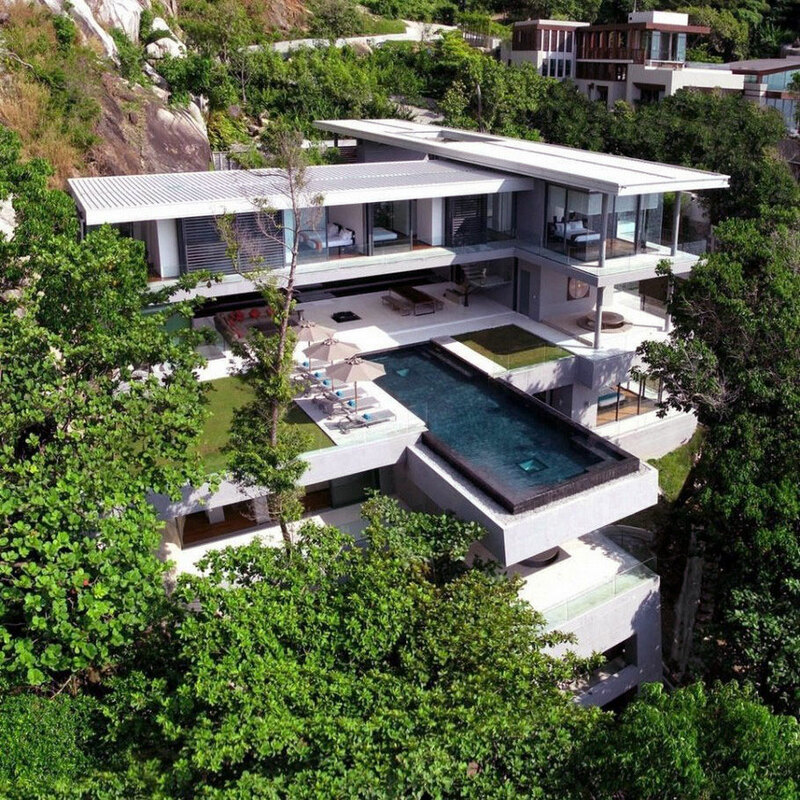 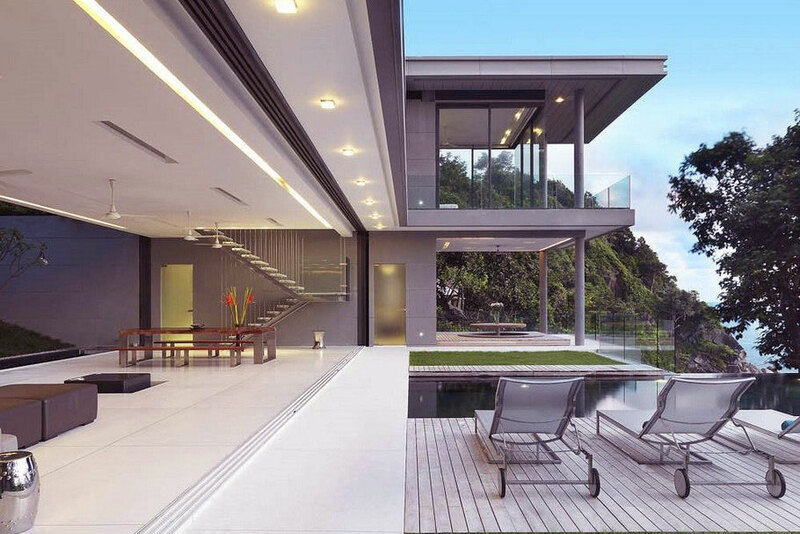 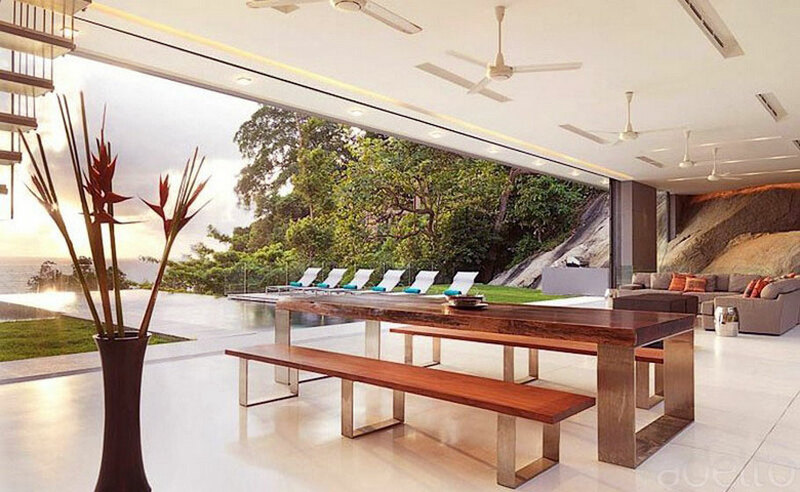 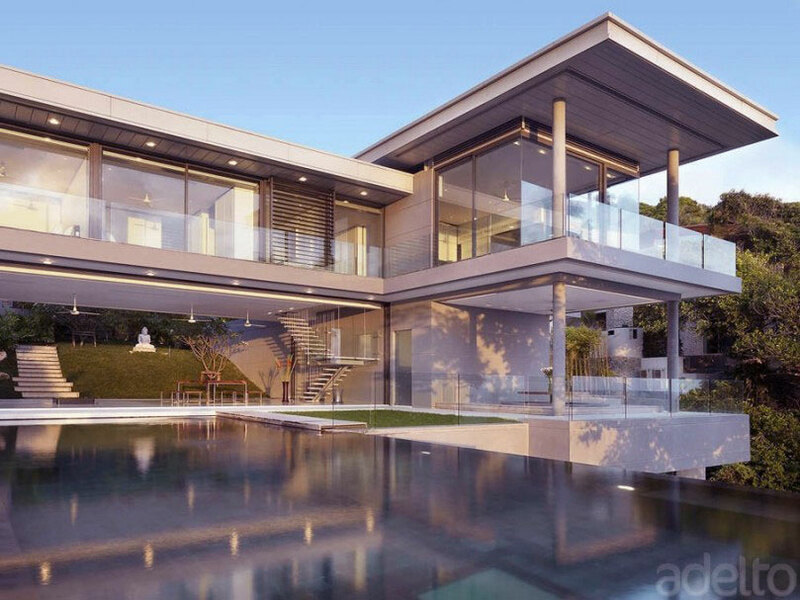 This is amazing villa Amanzi, one of Phuket’s most beautiful island treasures. 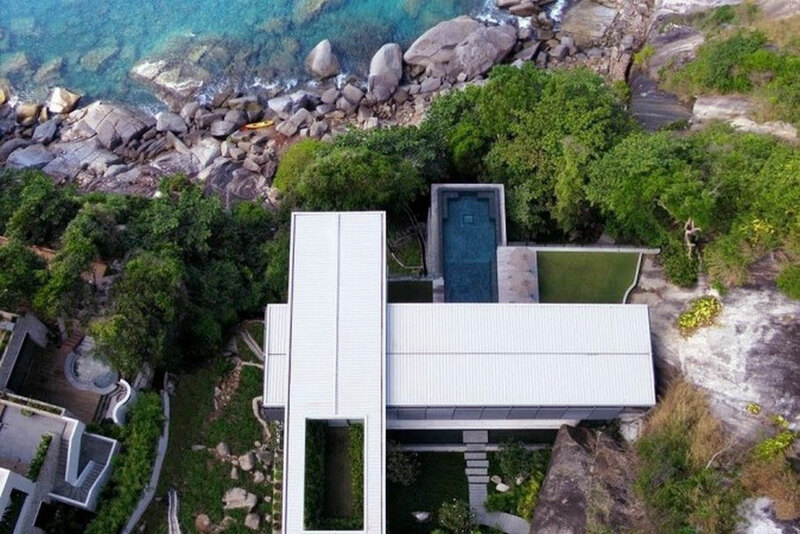 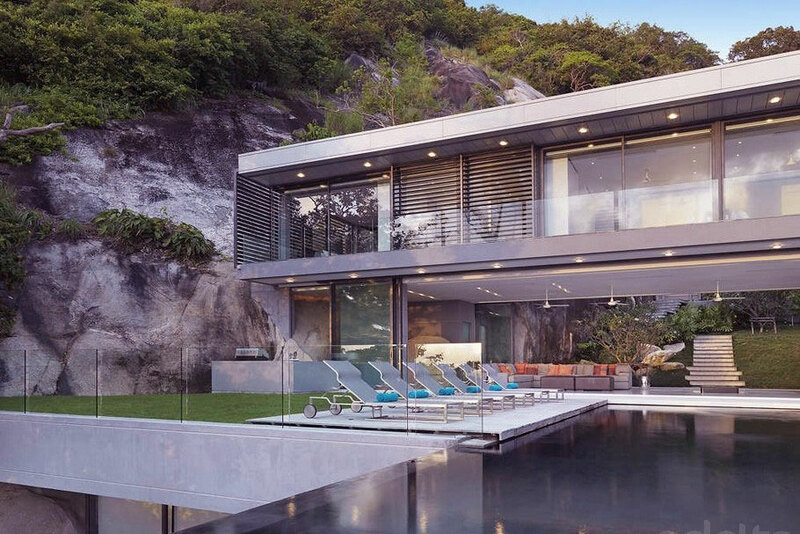 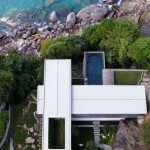 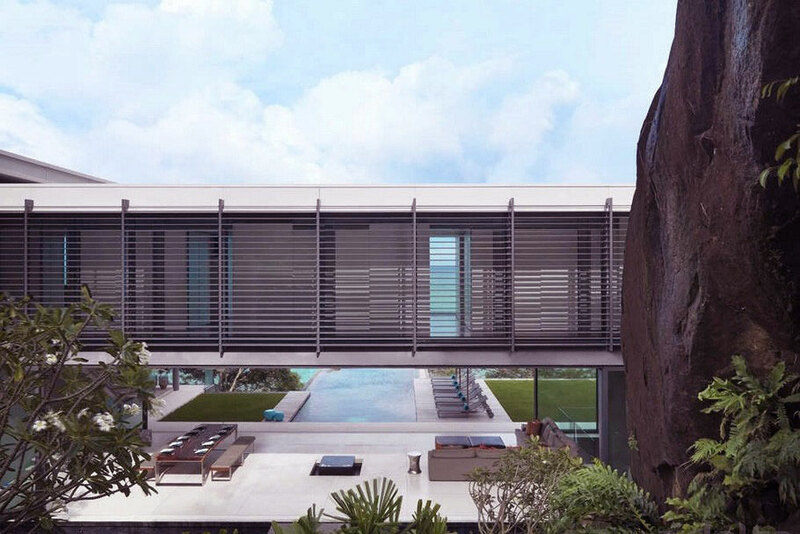 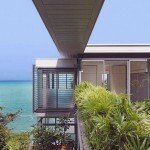 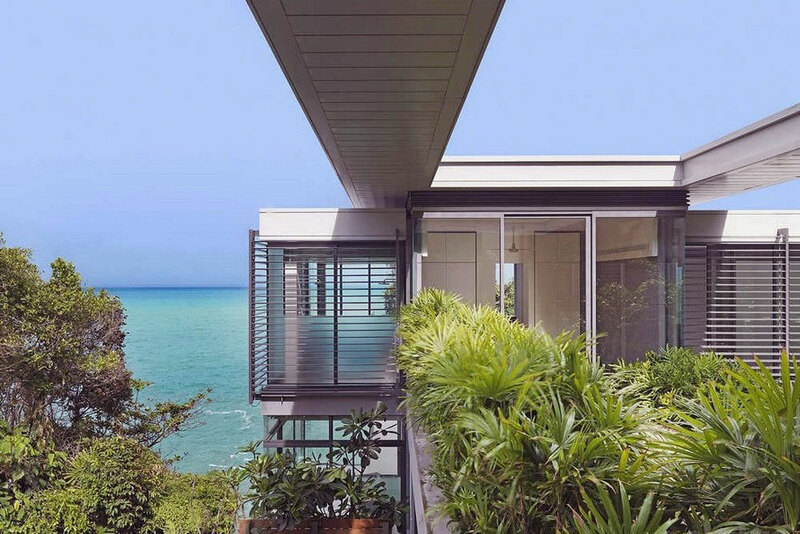 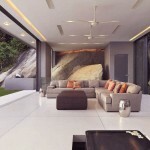 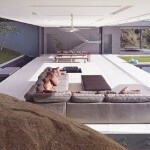 Perched on the ocean bluff in a secluded beach of Phuket, Thailand, this luxury villa offers tremendous ocean views. 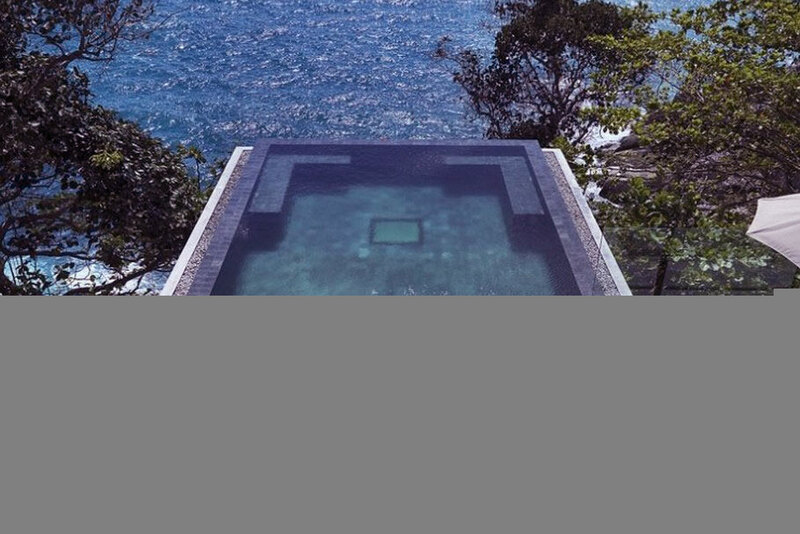 One of the first things you’ll notice is the swimming pool with infinity edge as well as a beautiful panorama of the bright blue Andaman Sea. 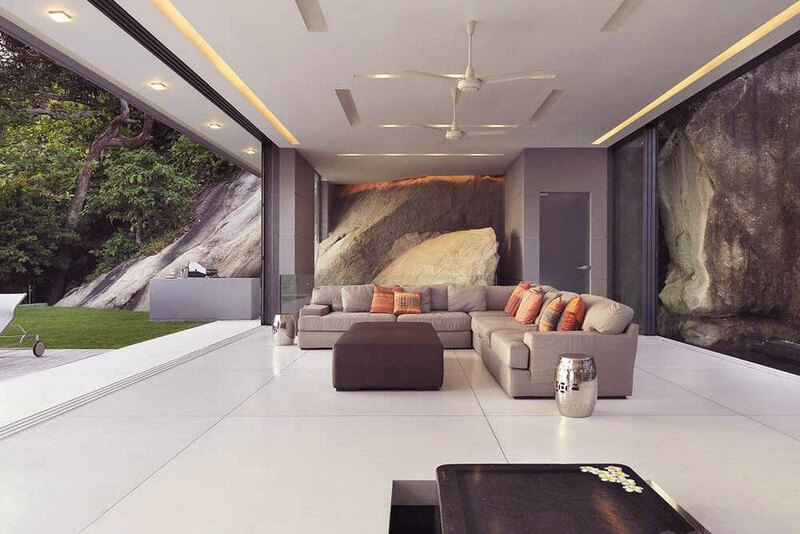 The contemporary architectural design holds a chic interior adding an air of timelessness and refinement to the already deluxe interior. 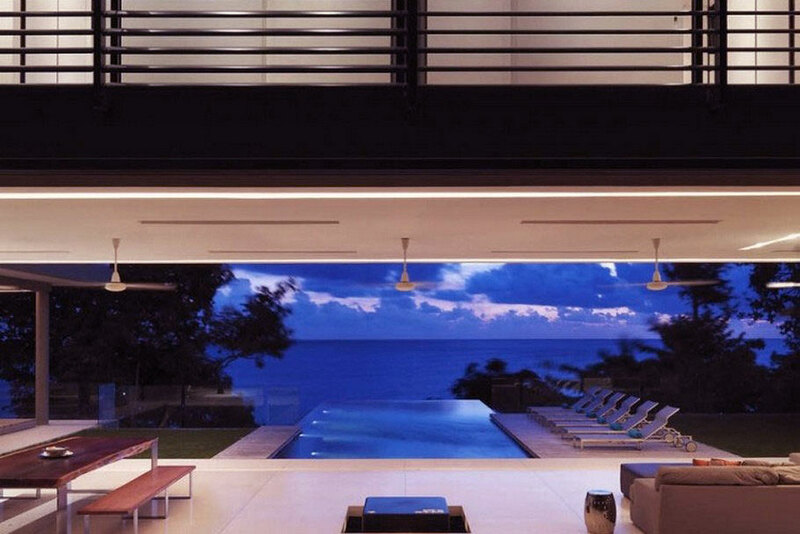 The spacious living room with gray sofas overlook the ever changing majestic ocean-view.